Be the first to share your memories or express your condolences in the Guest Book for David C. Masser. 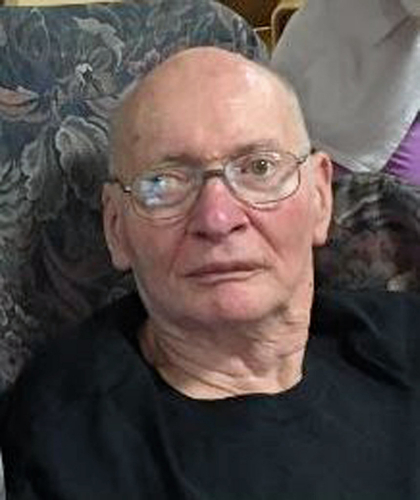 David C. Masser, 80, of Hegins, passed away Tuesday, April 9, 2019, at Premier at Susquehanna, Millersburg. He was born on Friday, Nov. 25, 1938, in Hegins, a son of the late Mark M. Masser and the late Ruth Kressley Masser. David was a 1956 graduate of the former Hegins Township High School, received his Bachelor's Degree in Education from Bloomsburg University and received his Master's Degree in Education from Lehigh University. He was a teacher for the Tri-Valley School District, until his retirement. David was a member of Friedens United Church of Christ, Hegins. He was preceded in death by his parents; and two brothers, Mark M. Masser Jr. and Kermit K. Masser. He is survived by his companion, Mary Miller, of Harrisburg; sister-in-law, Esther I. Masser, of Halifax; and several nieces and nephews. Services will be held at 2 p.m. Tuesday, April 16, 2019, at Friedens United Church of Christ, Hegins, with the Rev. Michael C Klahr officiating. Visitation will be held from 1 to 2 p.m. Tuesday at the church. Burial will be made in Friedens Cemetery, Hegins. Buffington-Reed Funeral Home, Valley View, is in charge of arrangements. Condolences can be left for the family at www.buffingtonreed.com.